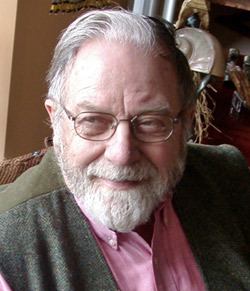 Richard George Lipsey, FRSC, OC, Fellow of the Econometric Society, and Professor Emeritus at Simon Fraser University, has held professorial posts at the London School of Economics and Essex University in England, and Queen's University in Kingston, Ontario, as well as visiting professorships at Yale, the University of California at Berkeley, Manchester, and the University of British Columbia. He was Senior Economic Advisor, C.D. Howe Institute (1983-89) and Fellow of the Canadian Institute for Advanced Research (1989-2002). His several textbooks have been translated into more than 15 foreign languages and he has written more than 180 articles and book chapters on theoretical and applied economics and policy. His book Economic Transformations: General Purpose Technologies and Long Term Economic Growth (Richard Lipsey, Kenneth Carlaw and Clifford Bekar) won the 2006 Schumpeter prize for distinguished writing on evolutionary economics. He was awarded the SSHRC gold medal for distinguished lifetime achievement in 2005 and in 2011 he received one of the three inaugural fellowships awarded by the Canadian Economics Society.